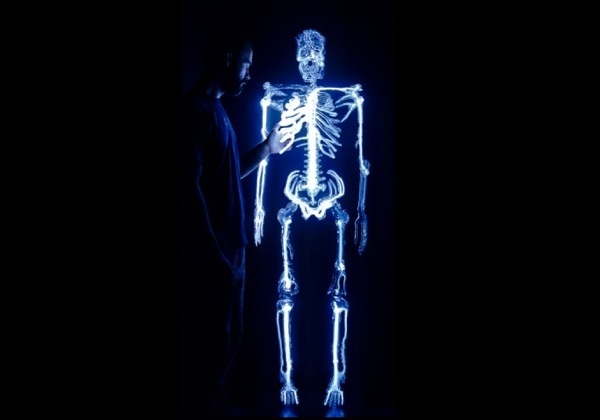 Embodiment by artist Eric Franklin – luminous-glass-sculpture « Adafruit Industries – Makers, hackers, artists, designers and engineers! Embodiment by artist Eric Franklin – luminous-glass-sculpture. An anatomical study of the human body considering the mind and body as one entity. Flameworked borosilicate glass, krypton, wood, 78″ x 36″ x 24″, 2006-2008, Roberts Family Fine Art Collection.